Real Snow, Real People, Real Fun. That's what Sierra-at-Tahoe is all about. If you are the type of person who likes to work hard and play harder, you are in the right spot. 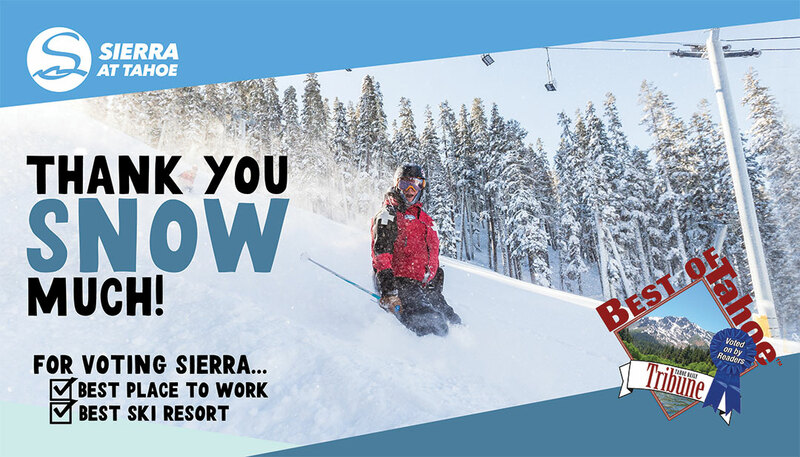 Sierra is everything a resort should be - epic snow, amazing tree skiing, legendary parks, and the best employees. From Argentina to Australia to our own backyard, Sierra hires a staff that loves coming to work every day. With our employees being the focus in just about everything we do, employees get hooked up! Working for Sierra is an experience you'll remember forever and an opportunity to make friendships that last a lifetime. We thought so! Join the Sierra team and help us keep it real all winter long. Sierra-at-Tahoe is an equal opportunity employer.